The brother-sister relationship is, invariably, one of the sweetest relationships of our lives. The fights, the complaints, making up, and then again fighting - these moments make for memories that last forever. We are one of the leading gift shops where everyone can find massive amounts of the sensational gifts for your loveable persons. 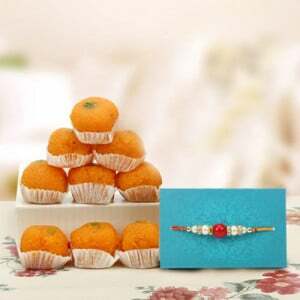 We are experts in providing rakhi online for the celebration of the raksha bandhan. 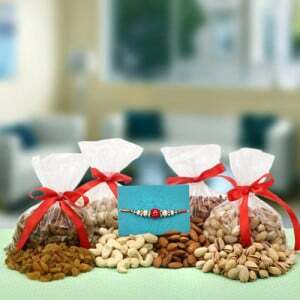 We known raksha bandhan is a very big festival in especially North India for brothers and sisters. 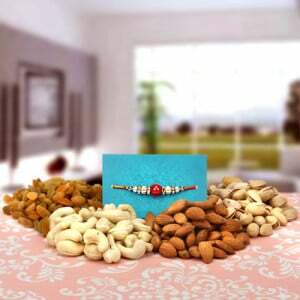 Thus, we have extensive amounts of rakhi for your brothers and return gifts for sister online. We at way2flowers also have the combo offer of flowers along with the rakhi gifts to deliver your love to your sisters or brothers. Our floral arrangements contain combinations of the roses, carnations, tulips, orchids and several other flowers along with the green leafy fillers. Our flowers and rakhi combos will be great to say your raksha bandhan wishes and the best gift for your loveable sibling. We are not actually a manufacturer of the rakhi or other rakhi gifts but we have deals with the best and reliable rakhi gift manufacturers who have been providing high quality and beautifully designed cushions and also plain rakhi to gift your loveable sisters and brothers. 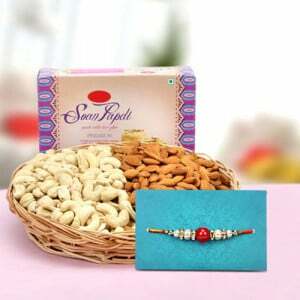 Our rakhi gifts for brother will be definitely touching and deliver your love on your brother on the special moment of the raksha bandhan. 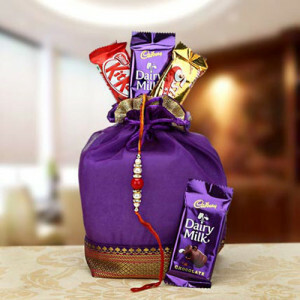 When you would like to order a rakhi online, we also provide sweets, chocolate box, teddy bear and some other special gifts with it. 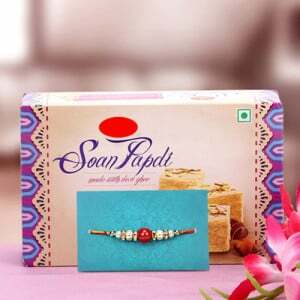 For excellently celebrate your raksha bandhan, we provide designer and modern online rakhi types at our way2flowers shop. Our gifts will definitely make your bond between a sister/brother strong at all. 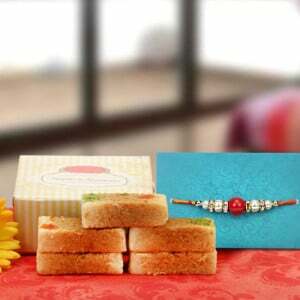 Personalized rakhi gifts: We also have special customization options to greatly celebrate your raksha bandhan with the special gifts. 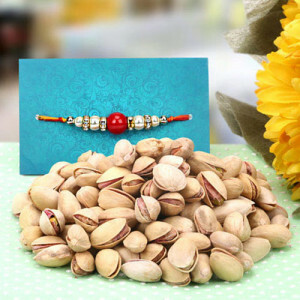 If you feel bad when you couldn’t be next to your brother or sister on this special moment, don’t worry we are here to deliver your rakhi gifts to your loveable sibling on behalf of you. 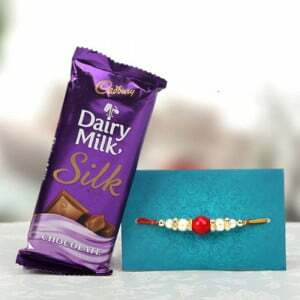 When you would like to send rakhi gifts online, you just come to our online gift shop and make your order. 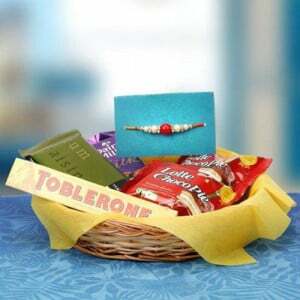 We deliver your raksha bandhan gifts almost too all parts of India and also abroad according to the needs of the customers. 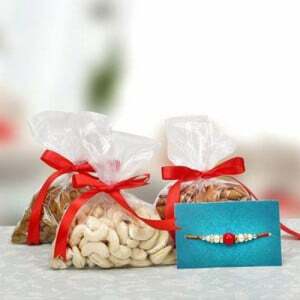 We have several personalization options for designing the combo of rakhi, sweets and flowers to send to your loveable sister or brother to celebrate the raksha bandhan. 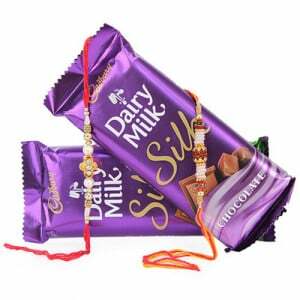 If the brothers are searching for the various return gifts to your sister for rakhi festival, we have separate column with hundreds of gifts for your sisters. Girls mostly prefer flowers and teddy bear so we have both these things in all rakhi return gift combos for making your loveable sister feeling great and surprised with your gift. 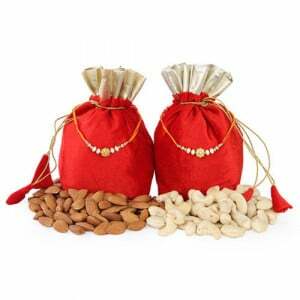 All our raksha bandhan gifts and gift combos are only affordable in cost to celebrate this big event with full of happiness and enjoyment. We newly introduce the rakhi cover at our shop in which there is a cover with the rakhi and special message from the sister. 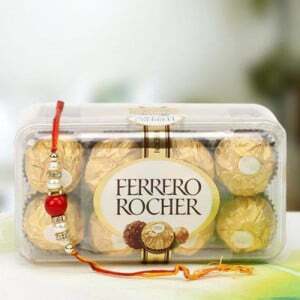 This kind of gift will be really great to gift your brother for making him surprised on raksha bandhan. Nothing symbolises this lovely relationship better than the festival of Raksha Bandhan. One of the most awaited occasions for sisters and brothers, this festival brings together entire families, irrespective of where they are. 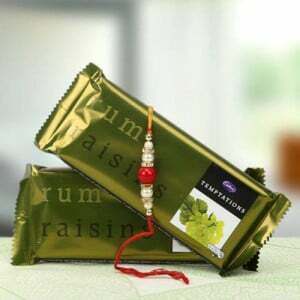 This Rakhi, let your brother/sister know how special he/she is. 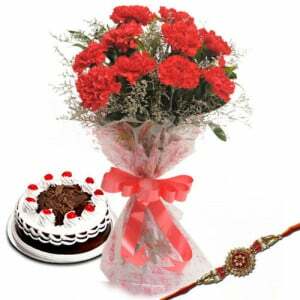 Send rakhi to India form Way2flowers and make the occasion extra special for your sibling. On this Rakhi, let your brother/sister know how special he/she is. 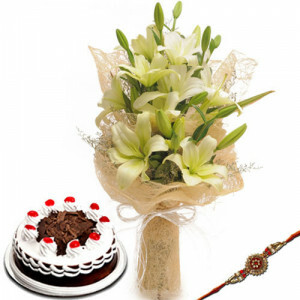 Pick Raksha Bandhan gifts and flowers from Way2flowers and make the occasion extra special for your sibling. 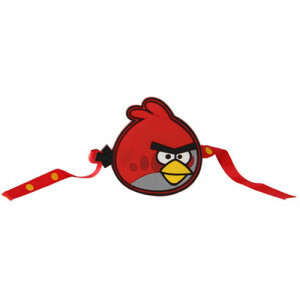 Way2flowers offers send rakhi to India and a number of international cities. 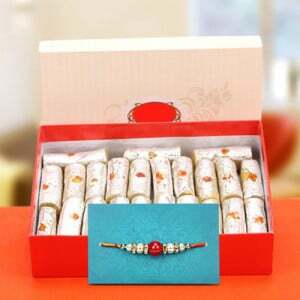 Our Rakhi gifts assortment comprises a range of beautiful rakhis, perfumes, chocolates, sweets, etc.